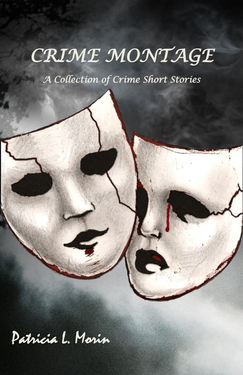 Crime Montage is a collection of crime short stories that include: cozy, humorous, chick-lit, young-adult fantasy, paranormal, and a historical novella. From a Newport, Rhode Island, fishing vessel to a German cruise ship in 1939, crimes are committed. From the San Juan Islands to New York City, murders are solved. The stories are as unique and different as human personalities and motives. 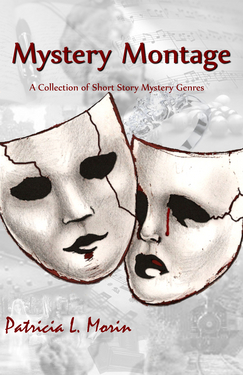 Mystery Montage is a collection of short story mystery genres; a woman celebrating her husband’s seventy-fifth birthday, finds an engagement ring and makes it her mission to solve what she believes to be a murder; the tribal leader of a small remote Mara village suspects that it was not really a lioness that killed the cattle guardian; a young woman’s fight to overcome depression and memory loss brought on by the death of her fiancé, uses her daily journal entries to decipher clues to her fiancés murder; a nurse is stalked on a train by her boyfriend while traveling to visit her family for the holidays; a gambling man is killed on a late-night walk down a Hawaiian boulevard and his food-loving wife is held for ransom by a food-loving bookie looking to have debts repaid; two spirit guides help a self-centered woman solve her own murder before she crosses over to the spiritual plane; in the shady LA rap-music scene, a retired detective is pulled back into action to solve a rival band member’s murder; an old murder unfolds through the messages left on an answering machine; a man is killed by a golf ball while planning to divorce his rich wife who is plotting his murder; two old flames pretending to be what they are not, try to reconnect through email and suspect each other of murder; a　women in her car stopped at a red light watches a man, who to all appearances, seems homeless.